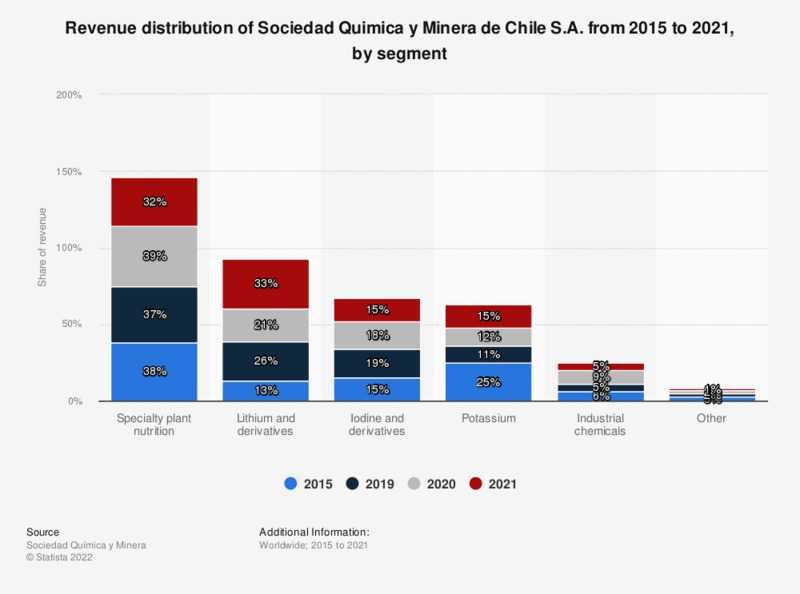 This statistic shows the distribution of the revenue of Sociedad Química y Minera de Chile S.A. (SQM) from 2013 to 2016, by business segment. In 2017, a 32 percent share of SQM's total revenue was attributable to the Specialty Plant Nutrition segment. Based in Chile, SQM is the world's largest lithium producer (with its Lithium and derivatives business segment), in addition to its other business segments: Specialty Plant Nutrition, Iodine and derivatives, Industrial Chemicals, and Potassium.